Disney’s upcoming streaming service – now officially called Disney+ – continues to make headlines. During an earnings call earlier this month, Disney CEO Bob Iger announced a *second* Star Wars series is coming to service! 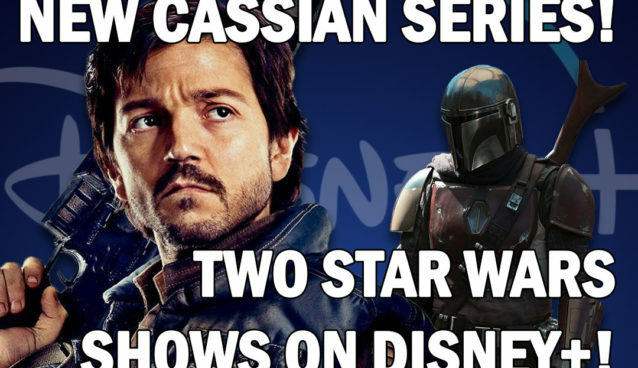 Fans of “Rogue One: A Star Wars Story” should be happy with this one: Cassian Andor is getting his own series, and Diego Luna is set to reprise his role as the titular character! We’re totally hyped, and can’t help but wonder what stories and characters we could see when this series finally launches. Are you excited to revisit the time of the Rebellion? Let us know using the links below!